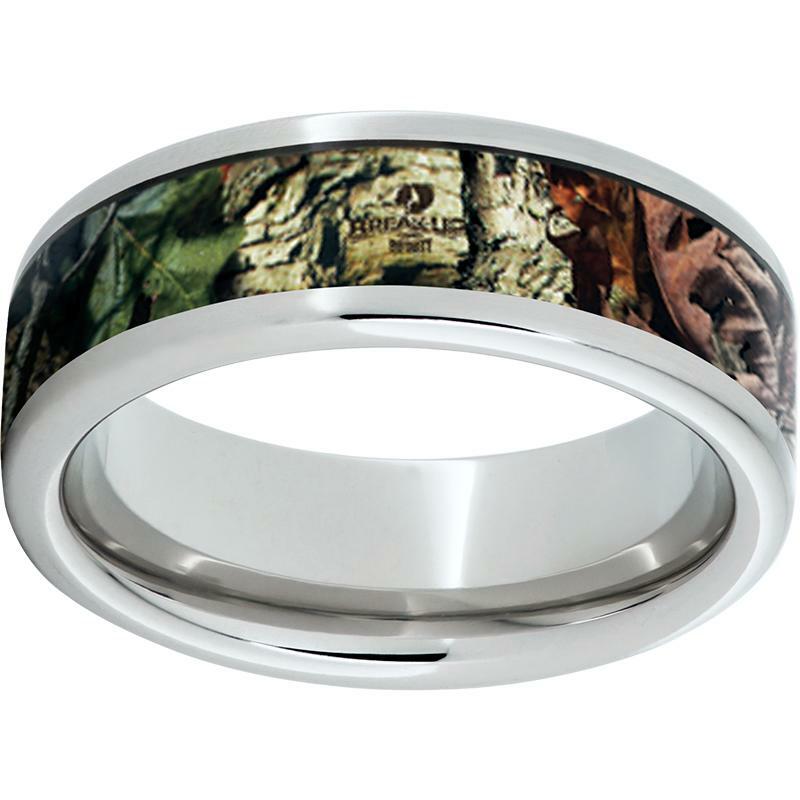 Serinium Pipe Cut Band with Mossy Oak Break-Up Infinity Inlay 8mm Available in stock size 10. Sizes 5 thru 13 available to order. Serinium rings are one of the best choices for contemporary materials. Band designed of solid white material to the core with a comfort fit interior. Serinium rings offer great scratch resistance, more rugged than titanium, and will not oxidize or tarnish.